Whether you lose your car key or want a spare made in case you ever do lose them, our car key replacement services can help! It is easy to misplace your keys, we have all done it, but when it happens in the middle of nowhere or you lose them and can’t find your spare, you are left without your main source of transportation. This can be frustrating and generally happens at the worst times. Instead of going into a panic or doing anything drastic, let us help. No matter where you are 24/7 Emergency Locksmith in Easton can help you get the car key replacements you need to get back on the road and back to your daily life. We can come to you and cut you a new key for your vehicle. We offer a variety of car keys as well, allowing you to choose the type of key you are used to. If you need a car key replacement, be sure to call us at 484-891-1922. Our van is full of all the equipment we need to effectively cut and make you a replacement car key! Even if you lose your car key but still have your spare, you will eventually want to replace your spare key in case you ever lose your car key again. Call us to help or stop by our shop to get another car key made for you. 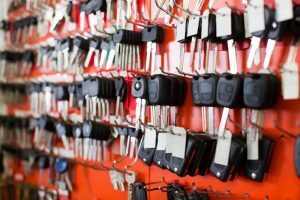 When you need a new car key, be sure to call the locksmith professionals at 24/7 Emergency Locksmith in Easton. We will be able to come to you and make you a new key in no time! You will be back on the road and back to your daily routine before you know it. Contact us today.